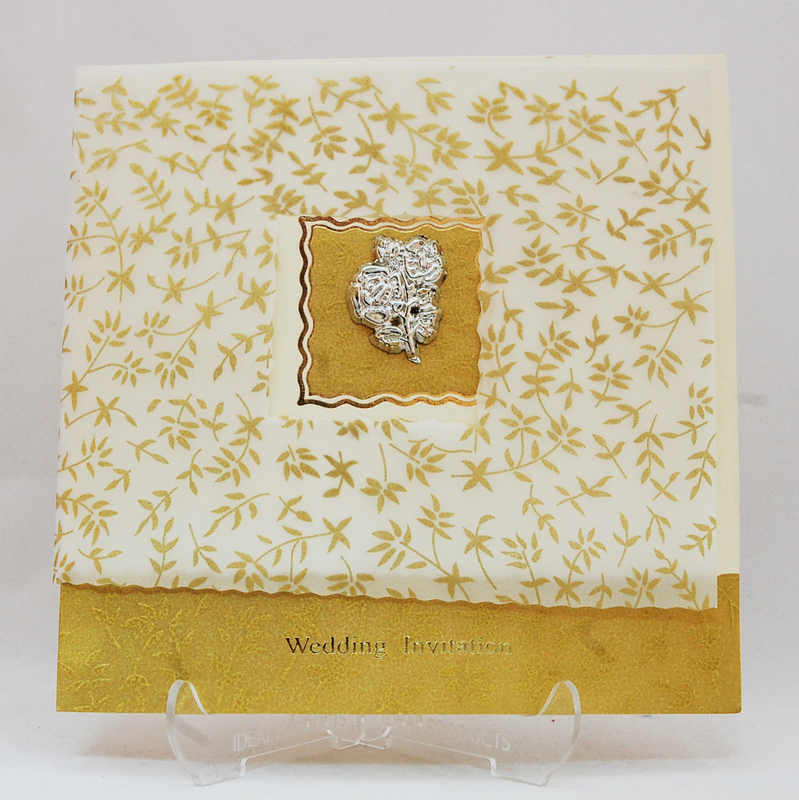 Square card made from cream embossed board. 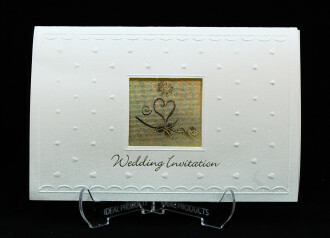 A clear translucent sheet, printed with a floral pattern in gold forms the out part of the invitation. Engrave rose placed on the center of the card. 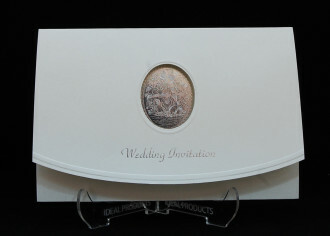 Matching designed envelope comes with this beautiful card.